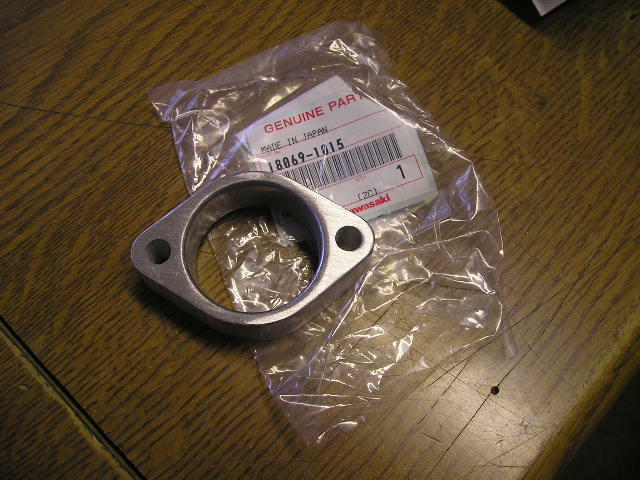 One of the exhaust clamps for the Z1000J/K/M/R AND Z1100A/R AND GPZ1100 MODELS. These will also fit the Z1/Z900/Z1000 models as well. The stud hole is 8mm. finished in silver.